One of the refrains that you hear often is that immigration is a "complicated issue". I don't want to endanger my source of income, but, frankly, in most contexts it's not true. In fact, one document from U.S. Customs and Border Protection (CBP) explains the current crisis that is going on at the Southwest border between Tijuana and San Ysidro: the "Claims of Fear" report. Those who are apprehended between Ports of Entry and claim credible fear are processed for expedited removal by U.S. Border Patrol. Those who arrive at Ports of Entry, are found inadmissible, and claim credible fear are processed for expedited removal by the Office of Field Operations. All claims of credible fear are referred to Asylum Officers of the U.S. Citizenship and Immigration Services (USCIS). Why did you leave your home or country of last residence? Would you be harmed if you are returned to your home country or country of last residence? CBP Agents and Officers have no discretion as to whether or not to refer an alien for a credible fear interview. CBP Agents and Officers do not make any determination on the validity of such claims and refer the person for an interview with a USCIS Asylum Officer. That process is straightforward enough, as the foregoing shows. 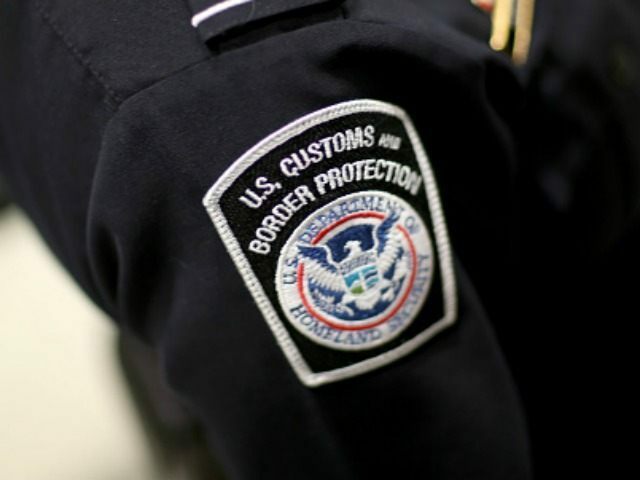 If an alien is apprehended entering illegally, or shows up at a port of entry with fraudulent documents or no documents all, a CBP agent or officer (respectively) processes the alien, and asks the four questions above. If the alien expresses fear in response to any of those questions, the alien is transferred over to an asylum officer at USCIS for a credible fear interview. The real meat of that document, however, are the statistics that show the increase in the number of aliens who have claimed credible fear. For example, in FY 2017, 303,916 aliens were apprehended along that border, and 38,300 (13 percent) claimed credible fear. In FY 2018, by comparison, 396,579 aliens were apprehended, and 54,690 (14 percent) claimed credible fear. There was, therefore, an increase in both the total number of aliens apprehended and in the number of aliens claiming credible fear, although the proportional increase was slight. By comparison, the number of inadmissible aliens claiming credible fear has almost doubled by percentage. Specifically, in FY 2017, 111,275 aliens were deemed inadmissible at the Southwest ports of entry, and 17,284 (16 percent) claimed credible fear. By FY 2018, however, 124,511 aliens were deemed inadmissible, but the number of credible fear claims increased to 38,269 (31 percent). Therefore, a 12 percent increase in the number of inadmissible aliens yielded a 121 percent increase in the number of aliens claiming credible fear. The first is that with respect to those aliens who are "other than Mexican" (OTM), showing up at a port of entry and claiming credible fear is an easy way to gain access to the United States. USCIS statistics do not break down by nationality the number of aliens referred to credible-fear proceedings after being apprehended as opposed to the number referred after being deemed admissible, but they do break down the numbers by the top five countries of nationality of aliens claiming credible fear per month. Specifically, the "Credible Fear Workload Report Summary, FY 2018 Total Caseload" report reveals that 24,729 Guatemalans, 24,641 Hondurans, and 13,239 El Salvadorans claimed credible fear in FY 2018, as opposed to 5,115 Mexicans through the first eight months of that year. The reason why the total breakdown of Mexicans who claimed credible fear in FY 2018 is not available from that report is because Mexico dropped out of the top four nationalities by June 2018. Assuming that Mexico missed making that list by just one claim for those last four months (an assumption that likely far overstates the total), no more than 7,589 Mexicans claimed credible fear last year. Indian nationals, Cubans, and Nicaraguans made those lists in other months. It is probably more than safe to say that the proportion of OTMs to Mexican nationals who made credible fear claims after being apprehended and after being deemed admissible were roughly equivalent. If anything, the number of Mexican nationals who made credible fear claims after apprehension (as opposed to being deemed inadmissible) was likely proportionally larger. If a Mexican national who truly had a fear of persecution wanted to escape that country, it would be easy for that national to attempt an illegal entry, because there would be one of three results: that Mexican national would be able to enter without being apprehended (thus escaping the fear), or would be apprehended and could claim credible fear, or would be apprehended, take voluntary return, and attempt a subsequent illegal reentry (again, thus escaping the fear). Planning a trip through Mexico to a port of entry, on the other hand, is a much safer bet for an OTM, because the costs of attempting a second illegal entry are higher after that OTM has been returned to his or her home country. The second is that CBP and USCIS actually (although unwillingly) facilitate, through the credible-fear process, the work of the smugglers of OTMs. Rather than running the risk of apprehension and prosecution by bringing an OTM into the United States illegally, a smuggler can simply take that OTM to the port of entry. No mountains to climb, no rivers to cross, and no Border Patrol to avoid. Most smugglers whom I have met have been shrewd businessmen, and this is a fairly foolproof business model. The third point is that regardless of the other merits of a border wall, aliens will be able to enter the United States without receiving advance authorization even if a wall were erected along the entire Southwest border, assuming that the ports of entry along the Southwest border remain open (a safe assumption for purely economic reasons, given the high volume of cross-border trade). Simply appearing at a port of entry, even without documents, is enough for an alien to gain access to the credible-fear process, and therefore to the United States, given the high percentage of aliens found to have credible fear by asylum officers according to USCIS statistics. The fourth and most important point is the fact that aliens are becoming more aware that they can use the ports of entry to access the credible-fear process. The fact that the number of inadmissible aliens who claimed credible fear more than doubled between FY 2017 and FY 2018 cannot be a coincidence. Instead, it suggests that a port of entry is the intended destination of an increasing number of OTMs transiting Mexico on their way to the United States. The best proof of this is the caravan. It has made its way across Mexico to Tijuana to enable the majority of the migrants therein (most if not all of whom are OTMs) to claim credible fear at the southern California ports of entry. Each of these facts demonstrates that the current expedited-removal and credible-fear processes are badly in need of reform. One document issued by CBP is proof of that. Given the short period of time left in the lame-duck 115th Congress, and the political makeup of the 116th Congress, I do not expect that reform to occur anytime soon.